Made a great summer dinner tonight. Easy 5-10 minutes of cutting vegetables and quick 5-10 minutes of cooking. It is a nice meatless meal that is full of color and uses vegetables that are in season. I cooked the veggies in a pan on the stove, but those who know how to use a grill will do well to grill the veggies. In the pan, a pat of butter, a smatter of olive oil. Cook onions, peppers, carrots for a couple minutes, add zucchini, squash, cook another minute then add mushrooms and tomatoes. 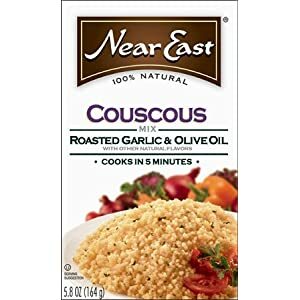 Buy a box of couscous and follow package directions, takes 5 minutes. Spoon the veggies over the couscous and enjoy! The proposed plan Obamacare Health Plan will require every employer, including religious groups and organizations to provide and pay for sterilization and contraceptives. Sterilization and contraceptives have always been morally objectionable by the Roman Catholic Church because they separate the procreative act from the act of marriage. Never before has the federal government forced individuals and organizations to go out into the marketplace and buy a product that violates their conscience. 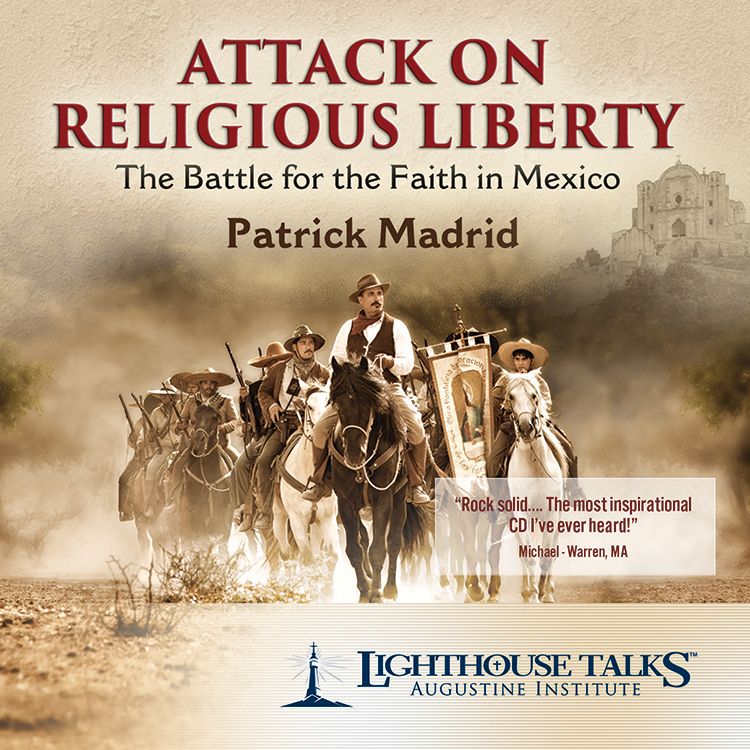 Our Catholic Bishops are courageously leading us right now in a "Fortnight for Freedom." This is a time from June 21 through July 4, Independence Day when ALL people who want our country to remain a place of freedom are praying, studying, fasting and taking action. This is easy to do with children of any ages. Pray the Prayer for the Protection of Religious Liberty each morning or evening, or at meal time depending when everyone is together. Pray through the beautiful Litany for Liberty. This can be interactive with 2 groups within the family, one leading, one responding. 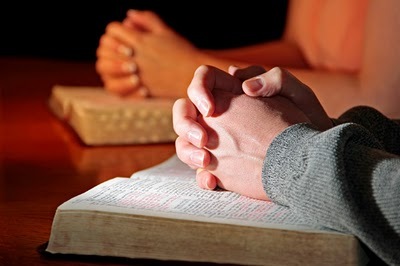 CLICK HERE for USCCB prayer resources. The bishops have compiled study material from Vatican II document Dignitatis Humanae. These reflections are a brief one page reading, reflection and questions for discussion. These can be read by the head of the house with the spouse and children listening and the answering as they are able. In the last several months there have been some fantastic speeches on the topic. You don't have to be a history or political science major to read through what the Pope, Bishops and laymen have written on the topic. Challenge your teens to read through one and give their comments. CLICK HERE for Speeches. If you are a registered voter, write to congressmen and senators to support the Respect of Rights of Conscience Act that will ensure respect for religious liberty and conscience rights of all participants in our nation's health care system. Click Here for an email draft you can send to your senators and US representatives. Stand UP for Religious Freedom is a series of Rallies around the US. We have had 2 of them here in St. Pete so far, March 23 and June 8. These are peaceful protests where people of all ages come and hold a sign and pray. 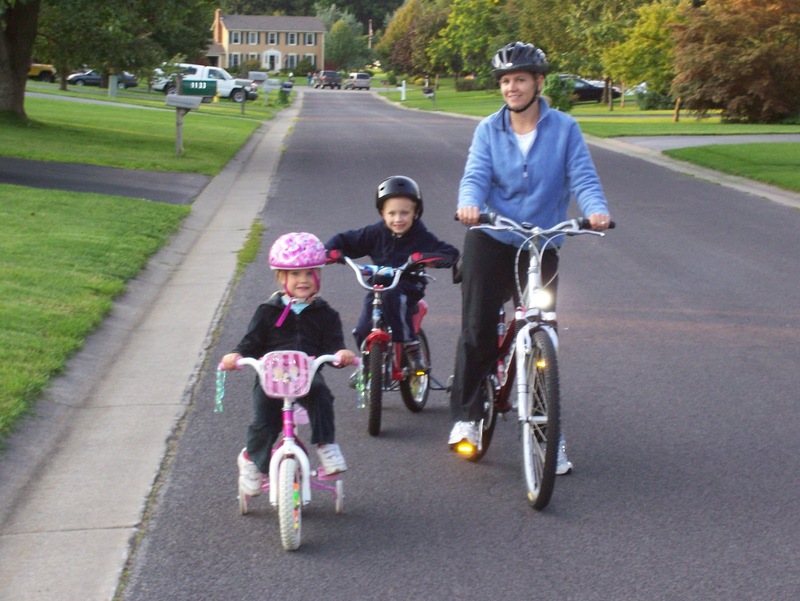 The kids can join the adults in this-even the babies in strollers! 5. Get to know the great Saints who stood their ground. 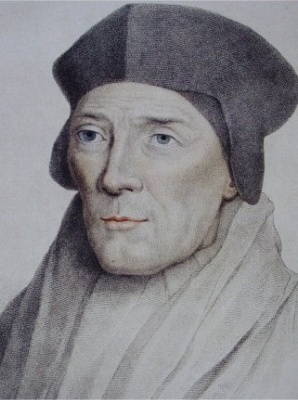 St. John Fisher and St. Thomas More were beheaded just weeks apart in the summer of 1535. They are men who preferred death rather than betray their consciences and opposed their King when he tried to use his power over the doctrines of the church. St. John Fischer was a priest appointed tutor for the young Prince Henry. In 1504 he became bishop of Rochester, England and Chancellor of Cambridge University. He wrote eight books against heresy, and Prince Henry, now King Henry VIII, was his friend. 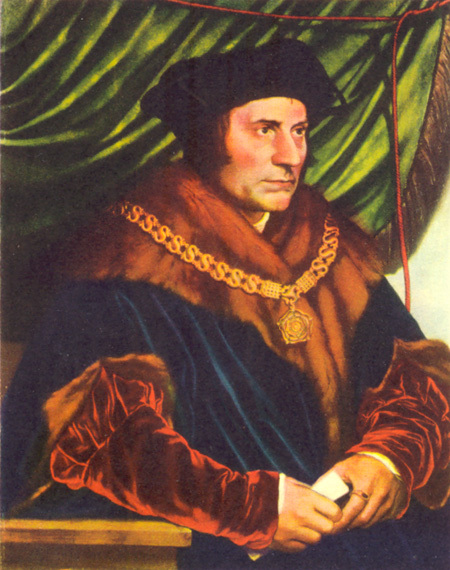 St. Thomas More was a scholar, lawyer, author and a married man with four children. He too was favored by King Henry VIII and was appointed Chancellor of England, a position second only to the King in importance. The trouble began in 1527 when Henry wished to divorce his wife, Catherine of Aragon for failing to produce a male heir. Fischer said that they had a valid marriage which angered the king. Later when Henry claimed to be the official head of the Church in England both Fisher and More opposed him. Fisher was beheaded June 22 and More July 6. More’s famous words before his death are “the king’s good servant, but God’s first.” These saints give us the good example to stand up to the secular powers when they contradict the church. Fortnight for Freedom starts today! Today we begin the fortnight, praying, fasting, studying and participating in public action for religious freedom in our beloved United States of America. CLICK HERE to see all the details from the USCCB. Through the power and working of your Holy Spirit, you call us to live out our faith in the midst of the world, bringing the light and the saving truth of the Gospel to every corner of society. Grant, we pray, O heavenly Father, a clear and united voice to all your sons and daughters gathered in your Church in this decisive hour in the history of our nation, so that, with every trial withstood and every danger overcome— for the sake of our children, our grandchildren, and all who come after us— this great land will always be "one nation, under God, indivisible, with liberty and justice for all." Summer means all the kids are home. Just a few weeks into summer vacation, I am already hearing "I'm bored." 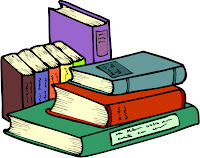 Books- The library is our FIRST stop for summer fun. Some libraries offer a summer reading log/contest where you get a prize at the end. 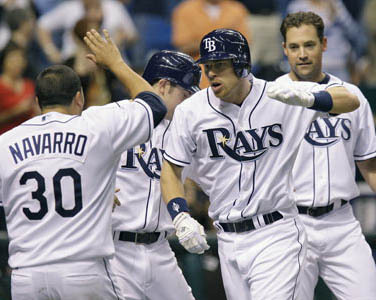 Pinellas County libraries are teaming up with the Rays this year. Many libraries have free story hours for the little ones. Ours also has puzzles for pre-schoolers so you can actually hang out at the library and have some fun. CLICK HERE to see my personal list of great reads. 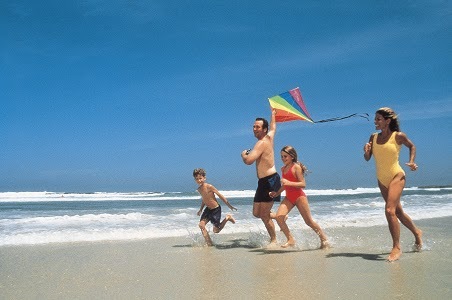 Beaches- Just about everyone in Tampa Bay area can reach a beach in under 30 minutes. Pack a cooler, some drinks, some lunch and your sand toys and spend a day. Don't forget quarters for the meters and plenty of sunscreen and water to stay safe. 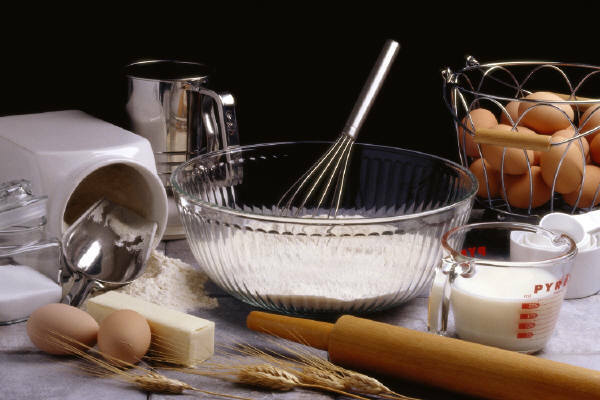 Baking-Summer is a great time of year to introduce your kids to baking, cooking and meal planning. If they are old enough to read, they can cook (with your supervision.) The kids always like to make brownies or cakes from a box, but try out something new- breakfast muffins, dinner casseroles, bread or summer salads. Have the kids help plan the meals for the week and send them on a grocery store scavenger hunt to find the items they need. Teach them to look for cheap prices and cut coupons too! 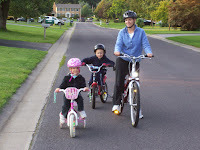 Bikes-Although it is pretty hot in the middle of the day to be biking, try an early morning or late evening bike ride, and attach some fun by biking to the pool so that at the end of the ride you can all really cool off. If your kids are at least 10 years old, they can be a "mommy's helper" and babysit for a mom with young children, while she is in the home. Do it for free as a pro-life service to give a mom a break! If the kids are 13 plus, have them take the Red Cross babysitting class and start earning money as a part time job. Many people who take a vacation during summer are looking for someone to walk the dog, feed the cat or fish or check in on the chinchillas. Help your child learn to do these things and help a neighbor at the same time. Building- Everyone has building pieces in their homes that have been put away in bins. 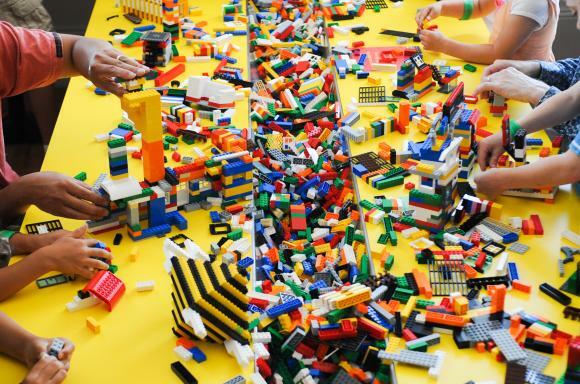 Get out those Legos, Duplos, Kinex as well as household items like shoeboxes, toilet paper roles, and egg cartons and have kids create something fun to then play with. Our kids love to build something new with Legos, but they also like to recycle stuff like paper towel cylinders, tissue boxes, tin foil and turn it into some robot, monster or building. Baseball-While attending a game at Tropicana fields is a big treat, it can really take a big bank account to take the whole family. So why not have family fun watching the Rays on TV? Cook your own hot dogs, get cracker jack and make some popcorn while you cheer on the home team. Invite some friends over for sleep overs afterwards. Bowling-The bowling alleys usually have some great specials and even leagues for kids. Boy does that air conditioning feel great on a hot day. 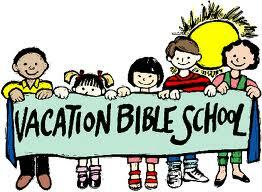 vacation Bible school-Many churches offer VBS. Some in the mornings and more and more in the evenings for parents that work. Buddies-Have your kids' friends over to play during the summer and trade back and forth with another family to have your kids over too. One of the favorite things our kids like to do in the summer is a slip and slide--add plenty of dish detergent to make it super slippery! 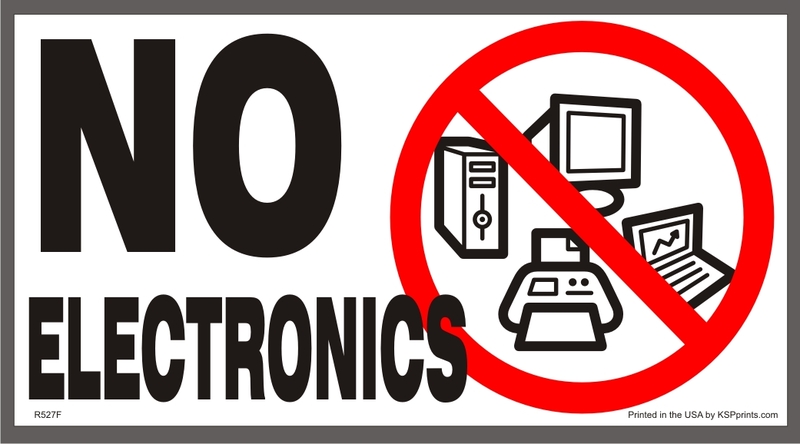 Banning or limiting electronics-Sure don't want the summer to be spent only on the couch. Figure out a reasonable limit...an hour a day? 4 days a week? Banking- kids earn allowance or cool stuff for extra chores they do around the house. Bonding- Best part of summer is to be together as a family, bond over the fun times and make a memory book to celebrate your summer. Get together with grand parents and cousins too for a lot of family fun time. Praying for him builds him up and gives grace to him as he leads the family. Praying for him also opens up your heart to be thankful for all his gifts and talents. Praying with your husband builds the bond of marriage and helps the two of you get through good times and bad. To get started, trying just praying an Our Father together at the end of the day. He says the first half, she says the second half. Then share any prayer intentions. Keep us, O Lord, from pettiness. Let us be thoughtful in word and deed. Help us to put away pretense, and face each other in deep trust without fear or self pity. Help us to guard against fault-finding, and be quick to discover the best in each other and in every situation. Guard us from ill temper and hasty judgment; Encourage us to take time for all things, to grow calm, serene, and gentle. Help us to be generous with kind words and compliments. Teach us never to ignore, never to hurt, never to take each other for granted. Engrave charity and compassion in our hearts. Don't be afraid of the word Submit-it means get under his mission, be to supportive. Let him lead. There is a beautiful complementarity when the husband is the head and the wife is the heart. This doesn't mean women don't think. We certainly should give input, suggestions, and opinions all combined with his. But after all the discussion, stand behind his decision. 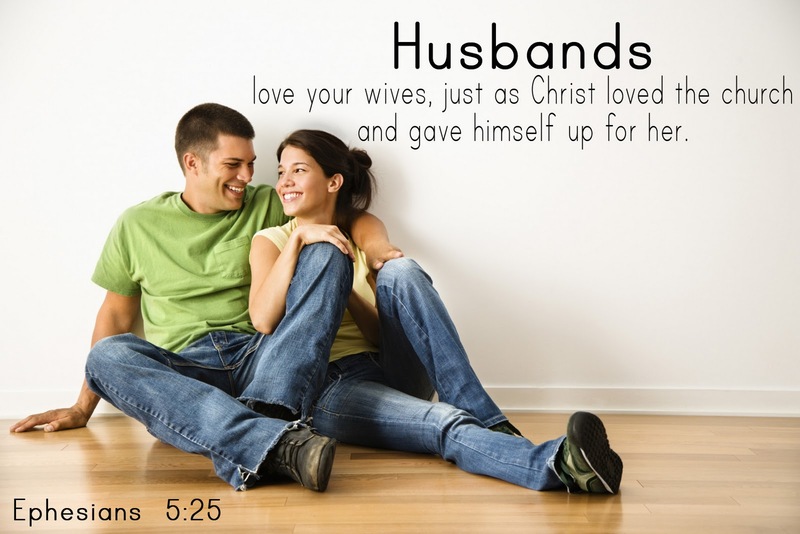 Remember wives, the second half of Ephesians 5 instructions is for Husbands to love their wives as Christ loves the church. So he has a pretty tall order too. Kids learn very quickly which parent is the "softy" and which one they can more easily get what they want. So as a wife, if your husband has already said no to something, don't undermine him by saying yes. When husband and wife disagree, try to forget about right and wrong, my way, his way and work toward a solution. Ignore the little things to avoid arguments. 4. Let your husband interact with the kids in a different way than you do. Many women who care for kids, also keep the house clean, run errands, do correspondence and many other things all at the same time. But when it's dad's time with the kids, Dad may "only" play with them, do a project with them, wrestle with them or just hang out. Accept that your husband has a different style with the children then you do. 5. 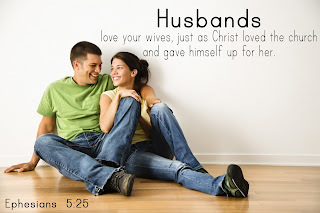 Love your husband and give him time with you alone so he is fortified for the workplace and enabled to be a better dad. The marriage must always come first. As my husband Bob always says, "the best thing I do for my kids is love their mother." So be a wife that is open to that love and offering of it. If you can't get away for an overnight, or get out for a date night, try a simple idea called "couch time." Basically, before or after dinner, husband and wife find a room, close the door and spend a little quiet time discussing the day and being alone. Bob has a great way of telling the children "OUT! I am talking with your mother." Over time the kids have learned that is non-negotiable. God Bless all Fathers on Father's Day and Every Day! We need you, We love you. Lots of famous people are making commencement addresses this time of year. So since our second son is graduating High School, I thought I'd take a stab at a commencement address too. I love you. I am proud of you. This is a big day to celebrate your accomplishments, but moreover to celebrate and be thankful for the graces, talents and gifts that God has given to you to enable you to come to this point. May we always remember to thank God for our blessings. As you begin the next stage of your life, I have five thoughts to share with you. Always we must start with the end in mind. 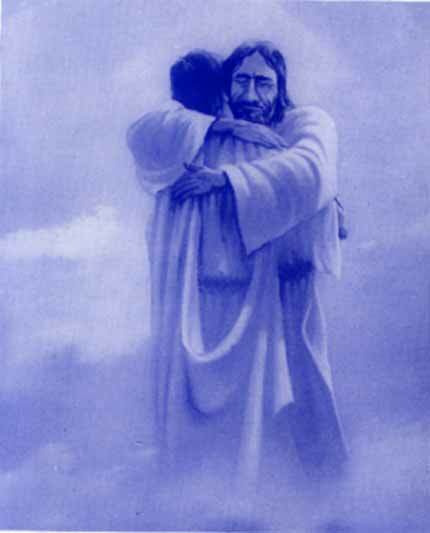 The reason we are here on earth is to know, love and serve God here, so as to be happy with Him in heaven forever. So this means that all our studies, work, volunteering, jobs, careers and vocation must be used to build up the kingdom. Does that mean you must only study the faith or take a job at a church? Certainly not. It means if you will be an accountant; use all your gifts to create order and honesty in the finances of the client. If you are to be a doctor or dentist, take care of the physical needs of your patients with love and kindness, respecting their human dignity as you heal or treat them. If you become an architect you design for function and beauty that families may have a loving home, or businesses may have a useful space with which to work. Even the menial jobs you do with love. Maybe you will stock shelves, or deliver pizza, or clean bathrooms or empty trash. Whatever that job is do it as if for the Lord; promptly, correctly and joyfully. 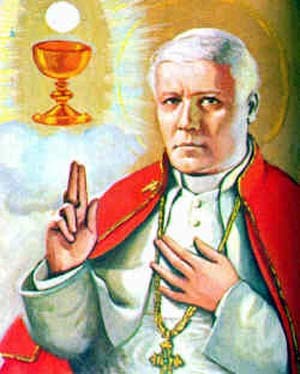 "The surest way to heaven is through Holy Communion and the sacraments of the Catholic Church" ~Pope St. Pius X. Without the Eucharist, received frequently and worthily, there is no other way. Jesus told Thomas “I am the way, the truth and the life.” In Matt 16 He tells Peter, “You are rock and on this rock I will build my church.” And in the great bread of life discourse of John’s gospel chapter 6 He reiterates three times “unless you eat my flesh and drink my blood you have no life within you. Get to mass every Sunday, even when you are tired. Even when you were out too late the night before. Even when you think it is boring. The Eucharist is our greatest treasure, the source and summit of our faith. 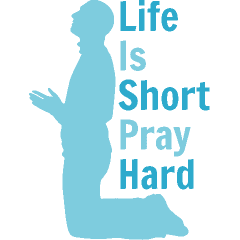 Life is short, pray hard. Say your prayers everyday. Start off with the morning offering. Say the blessing every time you eat, no matter how humble or grand your meal. Examine your conscience at night and thank God for the day. At your young age, I imagine you have never thought about how or when your life will end. And, I don’t mean to be morbid, but your life will end. The bible says “No one knows the day or hour.” So, live every day with fullness and be proud of what you have done. Take risks to do great things, but be satisfied to do the ordinary things. Make plans and dream for a long lifespan, but examine yourself each night so that you are ready for God at any time. "Pray without ceasing", says St. Paul. 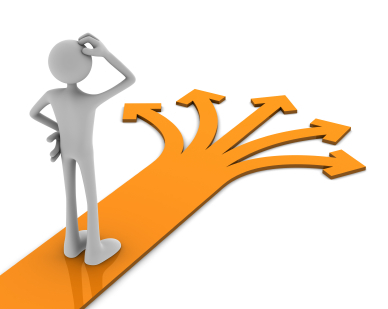 Seek God’s will for both your career and your vocation. You may be well on the way toward your job or career, but don’t overlook the call God has for you and your life’s vocation. From the Latin “vocare” or calling, God has a wonderful plan for your life be it single, married, or religious life. In all vocations the main thing is Love. We are called From Love, For Love. Blessed Pope John Paul II has taught us that you can only find yourself when you make a complete gift of yourself. No matter what your vocation, it is making a complete gift of yourself that will be required. Always call on the Blessed Virgin Mary to be your guide. It was Mary to whom God the Father entrusted His only son Jesus, to be conceived through the power of the Holy Spirit. She gave her yes at the annunciation, but so too, throughout her life. She told us all poignantly at the wedding feast of Cana, to “do whatever He tells you.” Jesus gave her to be the mother of each of us at the foot of the cross. Mary will always intercede for you. She will always stand at the foot of the crosses you face. She will always point you to her son. 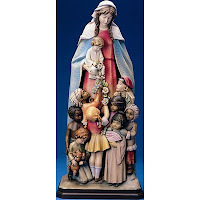 She will be with you when your earthly mother cannot. 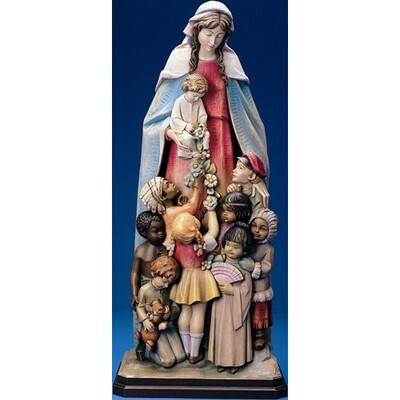 Run to Mary, Trust in Mary, Stay Close to Mary. I love you and I am proud of you.